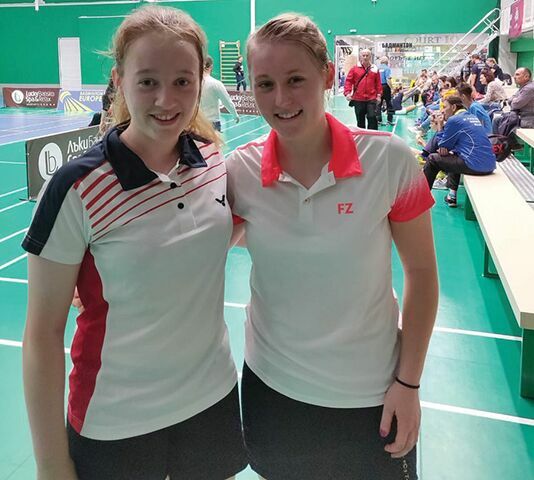 DCU student Moya Ryan recently represented Ireland in the Babolat Bulgarian Badminton International where she placed second in the Women’s Doubles competition with her partner Kate Frost. Ryan’s love for the sport started early, she started playing by age 7, and at the age of 10 she began playing competitively. “I loved the sport and enjoyed meeting new people when I had the opportunity to travel to new places,” Ryan said. After some success in competitions, Ryan was selected to represent Ireland at the age of 13. “I have won various national underage titles as I progressed through the underage ranks of Irish Badminton. I have also represented Ireland at European Junior championships,” Ryan told The College View. Ryan is currently in her third year in DCU, studying Physical Education and Biology. “When I got the opportunity to move to Dublin to go to university I knew it would help me progress my badminton further. I would be able to train at high quality and intensity every day”. “My move to Dublin helped me progress as a player training in the national training centre with the best players in the country,” Ryan said. Ryan won her first senior cap for Ireland earlier this year. “This was a big achievement for me and has inspired me to work even harder to continue to improve,” she said. The recent Bulgarian International, was where Ryan and her doubles partner Kate Frost won their first international honours, a silver medal. “A couple of pairs withdrew in our half of the draw which meant we had to play less games than we anticipated,” the Irish international said. Looking to the future, Ryan has a busy couple of months ahead with international competitions and the Irish Open to look forward to. Image Credit: Badminton Ireland / Twitter.